Windows 10 Insider Preview Build 10120 is said to be next-gen newest Win 10 version, highlighting “new tab” page to easily handle your browing history. Windows 10 Insider Preview Build 10080 for phone now is available, with added support for Lumia 930, HTC One (M8), etc. For Windows 10 for Phone errors, please check out the full list of Windows 10 for Phones first. Windows 10 Build 10074 for PC still has some errors. Keep searching for Windows 10 errors solutions in this page if you’re stuck with some of them. There are software and apps that are updated to be fully compatible with Windows 10 with no errors, including Video Converter Ultimate, BDMagic, ByteCopy, DVDAid, Video Converter, HD Video Converter, MTS Converter, MXF Converter, etc. How to fix Windows 10 error code 0x0000005D? The solution to get away from the error 0x0000005D is to change Version in Basic to Windows 8.1 (64 bit), which works for most people no matter you are trying to install Windows 10 64 bit/32 bit on a PC/laptop running Windows 7/8/8.1 32 bit/64 bit. 1. The error code 0x80070570 may due to the reason that you didn’t get a good copy of the Windows 10 ISO file. 4) Double click setup.exe and then follow the installing wizard (this may take you a couple of hours, so wait patiently). 3. Remove all USB devices, and try to use a cable instead of wireless network. 4. 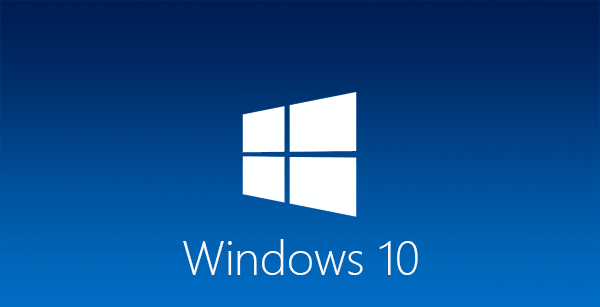 Try to download the Windows 10 TP ISO from different browsers. 5. Re-download the ISO file as you copy the file to USB. 6. Transfer Windows 10 ISO onto a DVD via a DVD burner>, if Windows 10 installation still has errors after steps above. Since auto install updates is disabled in Build 9926, therefore, the simplest way to fix “Windows 10 Store won’t update” is to open a command prompt as admin and add this: reg add “HKLM\SOFTWARE\Microsoft\Windows\CurrentVersion\WindowsStore\WindowsUpdate” /v AutoDownload /t REG_DWORD /d 4 /f (works for most people). This error can also be fixed by changing from Region format “Norwegian, Bokmåll” to “English, United States” by going to the Control Panel -> Region -> Format (drop-down):”English (United States)” -> OK -> reboot -> start Store again, and the update has been downloaded and installed. A: “YouTube has no sound” problem on Windows 10 can be solved by adjusting sound settings, changing sound card, re-installing Adobe Flash Player for Windows 10, etc (more detailed ), or downloading YouTube movie/music video directly by using free and clean YouTube video downloader. If you’ve successfully installed Windows 10 Build 9926/10022/10041/10049 but find that some apps work while some others don’t, the fix could be as easy as choosing software fully compatible with Windows 10, registering app, using Windows 10 Store (beta), contacting with app developer, etc. Solution: Go to Settings on your Lumia -> choose Language+region -> tap Language -> select a new language -> download the language pack -> restart your phone -> go to Settings -> click Phone updates. If above mentioned solution still doesn’t works, try hard reset. You can also reach out to Windows 10 for Phone support for further assistance by looping in@lumiahelp on Twitter.